Home » creative » Facebook » Free » instagram » photo » Jack N' Jill Roller Coaster Get Snackin’ With It - Photo Contest: Show the creative ways you snackin’ with your gang & win cash prize! 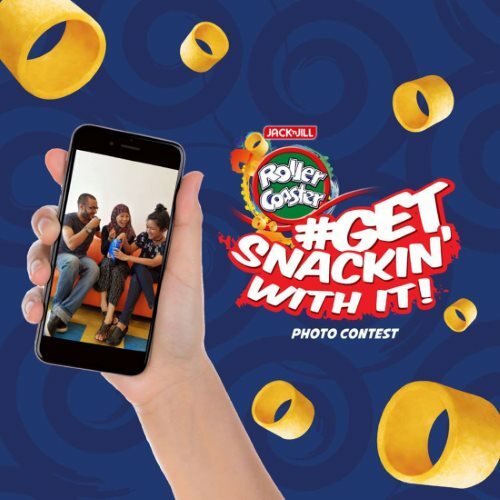 Jack N' Jill Roller Coaster Get Snackin’ With It - Photo Contest: Show the creative ways you snackin’ with your gang & win cash prize! Take a picture and upload that image showing you and your gang snackin’ on Jack ‘n Jill’s Roller Coaster. Ensure your FB page / Instagram profile is set to public so that entries can be retrieved. Visit Jack N' Jill Roller Coaster Get Snackin’ With It - Photo Contest terms & conditions for more details. CHECK OUT: Hush Puppies Footwear & Accessories Warehouse Sale: Up to 80% Discount!